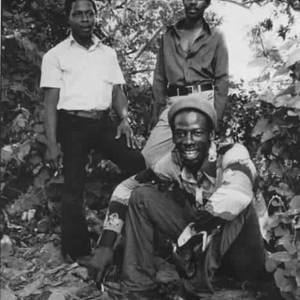 Leroy Sibbles, Earl Morgan and Barry Llewelyn first came together as "The Hep Ones" in 1965 in Kingston, Jamaica but they soon changed their name to "The Heptones". They recorded for the major Jamaican producers at the time, including Coxsone Dodd of Studio One fame. The Heptones had a number of Jamaican hits for Studio One, including "Pretty Looks Isn't All", "Fattie Fattie" and "I Hold the Handle." They went on to record with Joe Gibbs, Harry J (Harry Johnson), and Rupie Edwards. In 1977, they recorded "Party Time" for Lee Perry, one of Perry's finest productions, which included a version of Bob Dylan's "I Shall Be Released."